Most of the distance educational systems consider only little, or no, adaptivity. Personalization according to specific requirements of an individual student is one of the most important features in adaptive educational systems. Considering learning and how to improve a student's performance, these systems must know the way in which an individual student learns best. 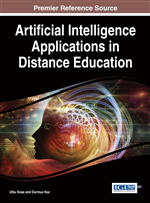 In this context, this chapter depicts an application of evolutionary algorithms to discover students' learning styles. The approach is mainly based on the non-deterministic and non-stationary aspects of learning styles, which may change during the learning process in an unexpected and unpredictable way. Because of the stochastic and dynamic aspects enclosed in learning process, it is important to gradually and constantly update the student model. In this way, the student model stochastically evolves towards the real student's learning style, considering its fine-tuned strengths. This approach has been tested through computer simulation of students, and promising results have been obtained. Some of them are presented in this chapter. Most of the distance education systems don’t take into account the individual student’s characteristics. As a consequence, the same learning objects, pedagogical strategies and learning resources are commonly used for everybody. However, adaptivity (Brusilovsky, 2001) has been introduced in these systems during the last years in order to provide individual learning experience (Graf and Kinshuk, 2009). In this way, the main student’s characteristics considered in the personalization of a course are: learning goals (Chang and Chung, 2010), cognitive level (Chang and Chung, 2010), interests (Brusilovsky, 2001), stereotypes (Zakaria and Brailsford, 2002) and learning styles (LS) (Felder and Silverman, 1988). The use of LS in adaptive educational systems (AES) is motivated by educational and psychological theories, which argue that learners have different ways in which they prefer to learn (Graf and Kinshuk, 2009). Learning Styles and their effects on learning processes are carefully exposed by Coffield et al. (2009). Instructional strategies have been massively studied in the new learning space introduced by the Internet, where many researchers point out that linking LS to appropriate learning resources is an important stimulus for the learning process. Some researches reveal that a student’s performance improves if the learning environment supports his/her specific LS. On the other hand, learners whose LS are not supported by the learning environment may have more difficulties during the learning process (Haider et al., 2010; Graf et al., 2008; Kinshuk et al., 2009; Alfonseca et al., 2006; Graf et al., 2009; Felder and Silverman, 1988). In order to provide adaptivity, the student’s characteristics have to be known first. However, the traditional approaches for detection of LS in AES are inefficient. Price (2004) analyzes the uncertainty aspect of ILSQ (Index of Learning Styles Questionnaire) by identifying inconsistencies between its results and students behaviors. Besides Price, Roberts and Erdos (1993) analyzes this kind of instrument and the problems related to it. Therefore, many approaches for automatic detection of LS have been proposed. However, in general they present problems which make them either inefficient or difficult to implement, implant and use, as pointed out in section 2. In this context, we present in this chapter an evolutionary approach to discover students LS which uses a probabilistic student model and a genetic algorithm. This approach is based on the non-deterministic and non-stationary aspects of LS, which may change during the learning process in an unexpected and unpredictable way (Graf and Kinshuk, 2009).